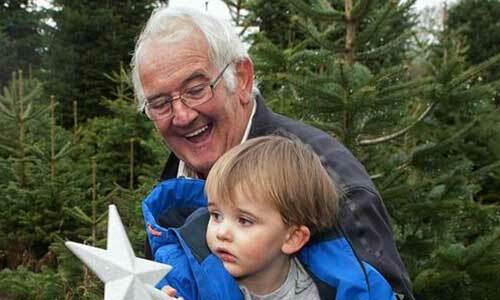 Killarney Christmas Trees have been supplying quality Christmas Trees to local families for 2 generations. Their family day out has become an important date in the Christmas Calendar for children and adults alike as the excitement for the festive season grows. At our Killarney Winter Wonderland you will find thousands of award winning Christmas trees on display for ease of viewing. We supply all sizes from 2ft to 35ft. Trees are cut daily letting our customers enjoy the freshest tree possible. When children and adults choose their favourite tree, it is then netted for ease of transport. Kids can join in the fun of netting the tree – if they are strong enough! Assistance is given to loading trees into cars. Ample Parking available. Located just 1 mile from Killarney Town on the Ballyhar Road. We offer a ‘choose and cut’ experience for families wishing to select their own favourite tree while it is still growing. This service needs to be booked in advance and selection must take place before 6th December.